People all around the world often search for a new place to live outside of their countries. Either they are looking for a new way of life or they are trying to figure out how to live comfortably on less. Laos is a good country to consider for either reason and it has quite a bit to offer to newcomers that are willing to adapt and change their way of life a bit. One of the main differences between living in Laos and the western countries e.g. United States is privacy. The population in Laos is only 6.3 million, far less than the United States, but also with a wide array of cultures living close to one another. While in Laos neighbors and family members spend more time with one another and generally live much closer to one another. In the United States there is the desire for privacy and generally more living space, larger yards and less sharing. There’s also much less pressure to buy material objects in Laos and Americans find themselves buying far less after making the move to the new country. While Laos is not quite as affordable as Thailand, it offers a good value to those that are trying to live with a low level of expenses. It’s possible to live here for US$1,000 or less, and many retirees make it happen without issue. The cheap housing is one of the reasons that this is possible. A single bedroom apartment rental can be had for as little as US$100 per month, though it will be a very bare-bones setup. Accommodations with more features will generally cost between US$250 and US$500 per month depending on what you are looking for, but most are quite reasonable. If there’s one thing that Laos residents enjoy, it’s good quality food at decent prices. With a pound of rice around US$0.45 and produce available for less than US$1.00 a lb. in most instances, it’s easy to eat healthy food without spending a fortune to do it. Some other items that you may be used to are more expensive though, and this is important to realize. Internet is a good example of this. A 10 Mbps plan that may have cost you US$40 or US$50 back in the states, will run you closer to US$120 per month in Laos. There are tradeoffs that you have to be willing to accept, but generally it is more affordable to live here. The small town of Lauang Prabang is a must-see location for tourists or expats living in Laos. It’s home to a few royal palaces, as well as 30 different temples that are all rich with cultural history. Take a day or two to explore all these beautiful structures, it’s a good opportunity to learn more about the culture of the area, and to witness some truly exquisite buildings. Laos is a very scenic place, especially Bolaven Plateau in the southern portion of the country. Head down there to take in the small villages, the unexplored forests and the massive waterfalls. It’s a true treat to see all these sights and the natural beauty of Laos will have you coming back again and again to take it all in. While Laos is a nice place to live, and it offers an affordable existence for many people, it does take a bit of time, effort and money to make the move. American expats generally bring along some of their belongings, including their vehicles in many instances. 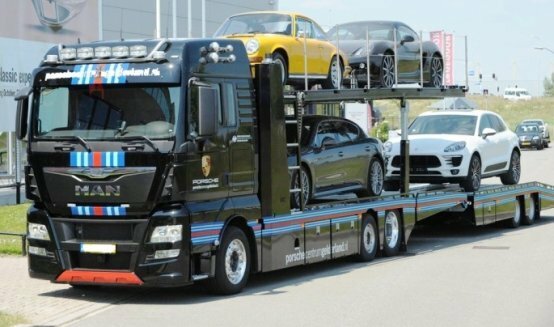 Transport companies can help with bringing over larger items, as well as cars and trucks themselves. According to the car shipping company, A-1 Auto Transport, Inc.,costs can range between $2,200 and $3,900 to ship a car from the United States to Laos. That’s not a bad price when you consider that you get your affordable vehicle in the country, and a good reliable form of transportation after moving. There’s a lot to like about Laos, and it’s an affordable place to live after retirement, or for someone looking for a new way of life in general. It may take time to get used to the cultural differences of the area, but with a bit of searching, you’ll soon see that you can live a very similar life to what you had back home, and for a whole lot less as well.